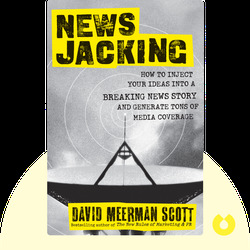 Newsjacking (2012) is about the best new way to get media attention – not by planning ahead but by reacting quickly and cleverly. These blinks not only explain how this new form of generating news works, but also how you can and should react to it, and how to use it to attain the best possible media coverage. David Meerman Scott is an international public relations and marketing expert, specializing in online news. An in-demand keynote speaker, Meerman Scott has also written several best-selling books, including The New Rules of Marketing and PR. 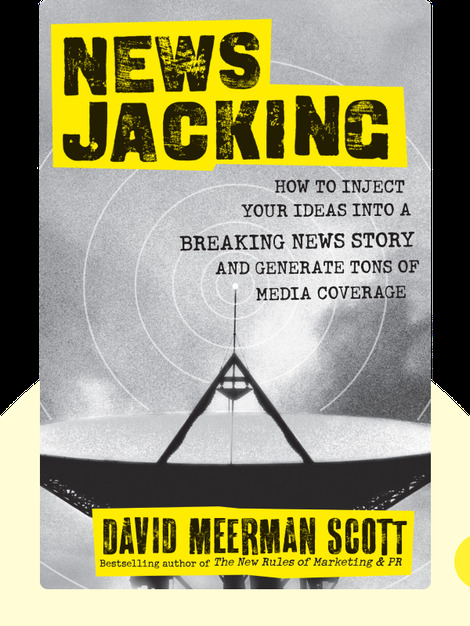 © David Meerman Scott: Newsjacking copyright 2012, John Wiley & Sons Inc. Used by permission of John Wiley & Sons Inc. and shall not be made available to any unauthorized third parties.